Named in honor of the Cable Mill Cantilever Barn in Cades Cove, Tennessee, our Amish Cable Mill Cantilever Plasma Stand with Beaded Doors will withstand the test of time just like the Cable Mill Barn. 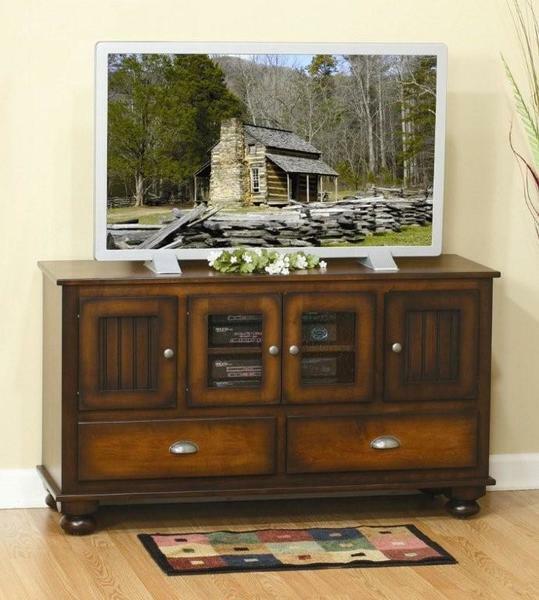 Whether you place it in your office or living room, this plasma television stand will add traditional style to any room. The stand is built standard with two beaded doors on either side of the center glass panel doors, two drawers, and bun feet. Select the wood type, finish, and hardware to make it match your home.